I never thought I was going to get married. I was forever single…. I loved being single, maybe a little too much, but that’s neither here nor there. 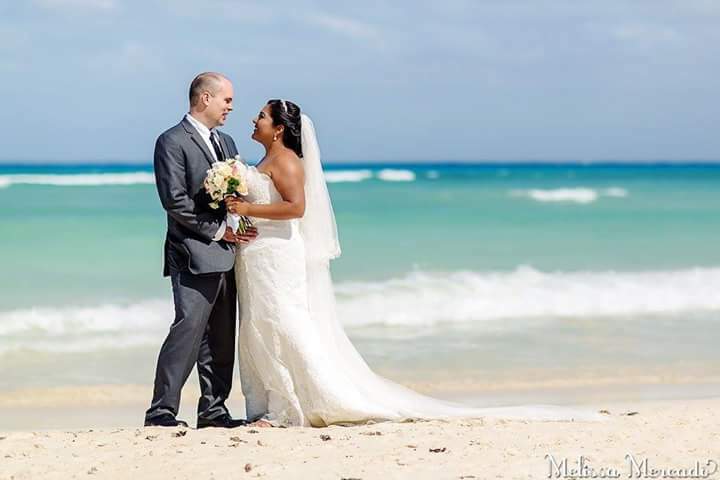 So, when I found myself engaged at 32, to the only man who I could leave my single ways for, I had to start thinking about a wedding I never really dreamt about having before. I knew I wasn’t going to be the huge princess bride type of gal. I also feared becoming a bridezilla, which I think I escaped. I knew I wanted small and intimate. That alone crossed off having a wedding in either mine or my fiancé’s hometowns. We lived in San Francisco at the time of our engagement. A Napa Valley vineyard wedding was definitely an idea. Then we saw the price and that quickly changed our minds. We didn’t believe in going into debt or having a wedding we couldn’t afford, as we were going to pay for it all ourselves. Some of the best advice we were given pre-marriage, don’t start your marriage off in debt all to pay for a one-day celebration. Words to live by! Two weeks after becoming engaged we went to Playa del Carmen, MX, to celebrate my mom’s birthday, and to my surprise our engagement. 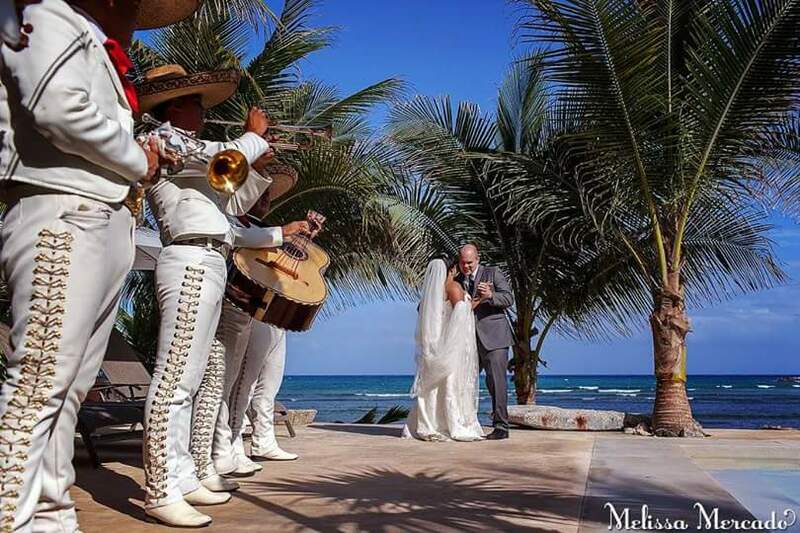 It was at that time that I started to explore wedding options in Mexico. It seemed fitting as it’s my motherland, plus my fiancé had also lived in Mexico for a bit, and shared a love for the land of my ancestors, as well. We also both wanted to be married in the Catholic church, as it’s what we’ve both known and had been raised in our whole lives, and still to this day. 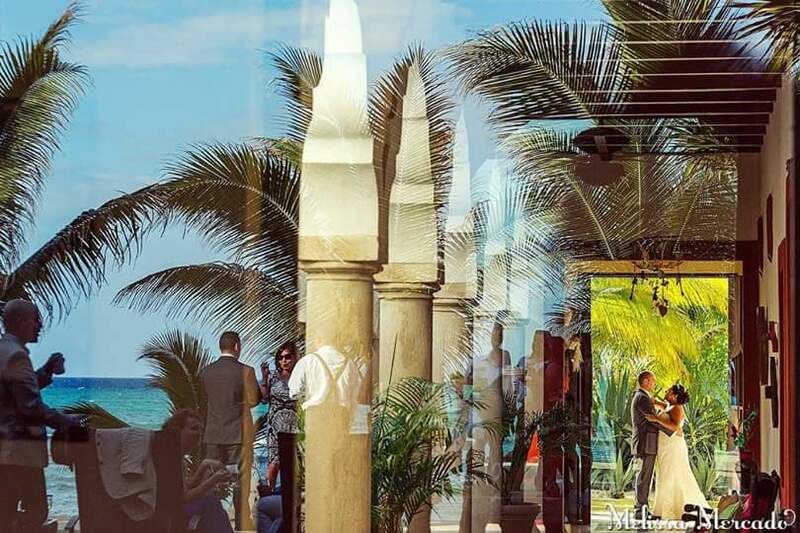 That crossed out beach destination weddings. We had to find a church that could marry us. 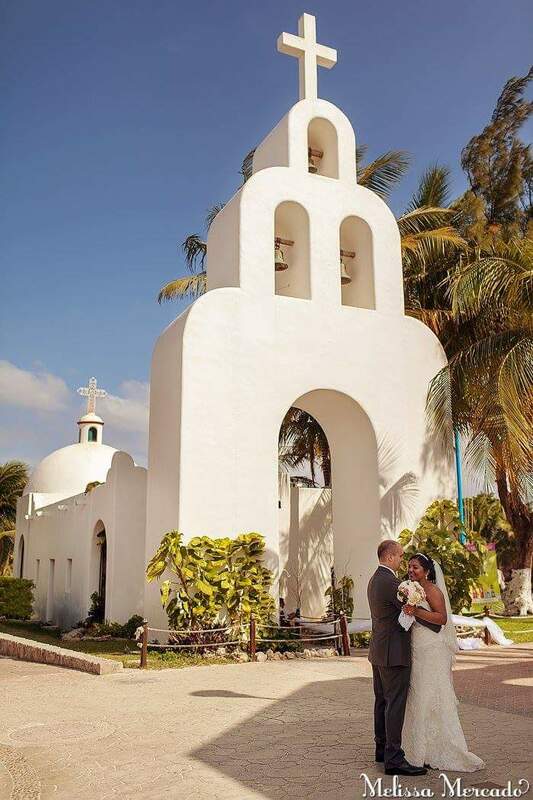 While in Playa Del Carmen, we walked into an all-white chapel, right off the beach, in the middle of town, Capilla de Nuestra Señora del Carmen. My parents, my fiancé and I, walked in and immediately knew. I said, “this is where we’re getting married!”, and everyone agreed. It was too beautiful to pass up. We took a day out of our vacation to meet with wedding planners, that I had set up beforehand. Like magic, it all came together. I suddenly found our church, wedding planner, and reception location. Our wedding planner came highly recommended by the location, and we couldn’t be happier with that choice. 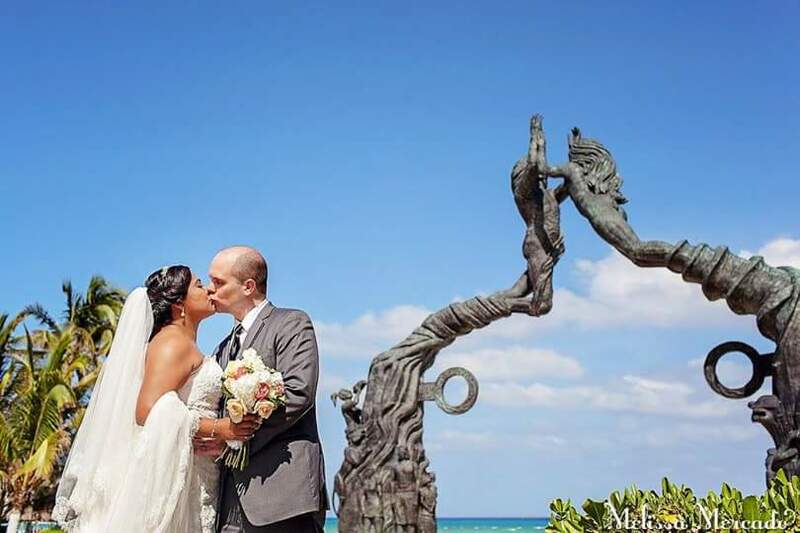 Andrea Salazar, from Puerto Aventuras Weddings http://www.puertoaventurasweddings.com and the rest of her team, are wonderful! Are wedding planners necessary? Absolutely! 100%! She was my confidant from day one. The only one I could talk wedding with regularly, and she actually cared, not just because she was getting paid. I’ve told her along the way, “I couldn’t do this without you!”, and it’s the truth. She took on all the stress and logistics for me. I only had to tell her what I/we wanted. She took my vision and delivered on every single wish. 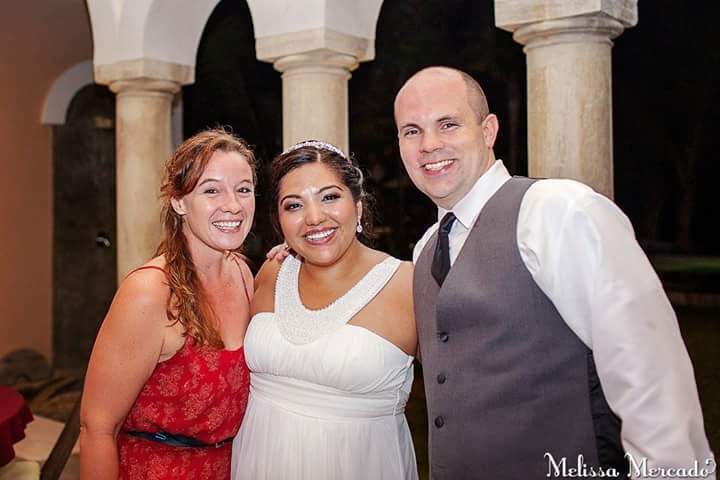 Andrea and her team worked diligently for us, especially on our wedding day. The day we met Andrea was also the day we found our reception location. I wanted something more authentic to Mexico, especially since we were having friends coming in from all over the world. 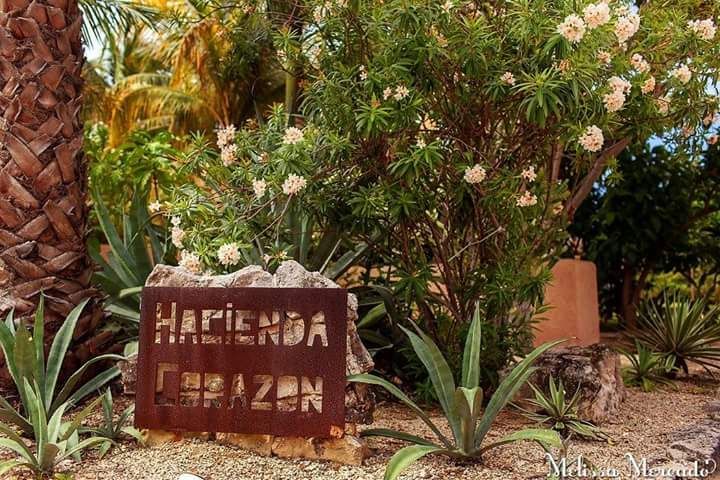 As soon as we met with the team at Riviera Maya Haciendas http://rivieramayahaciendas.com and saw Hacienda Corazon, I was sold! 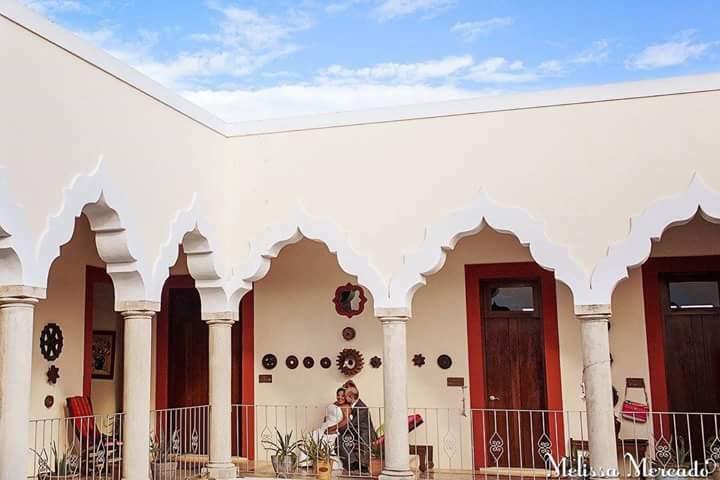 The beautifully Spanish inspired Hacienda, the Mexican artwork and artesanias throughout, the gorgeous arches on the 2nd level, oh, and it overlooks the ocean. What’s not to fall in love with? We landed up renting the entire 10 bedrooms Hacienda. 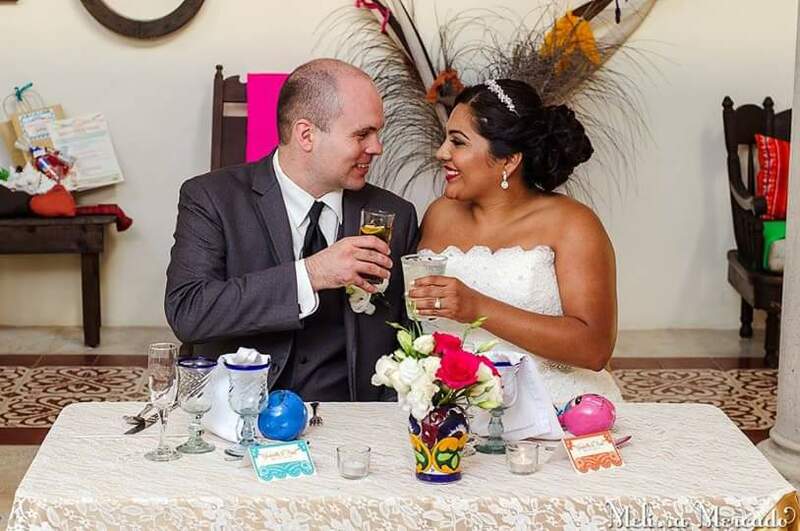 Our wedding party, our families, and ourselves stayed at the Hacienda from Fri – Monday. 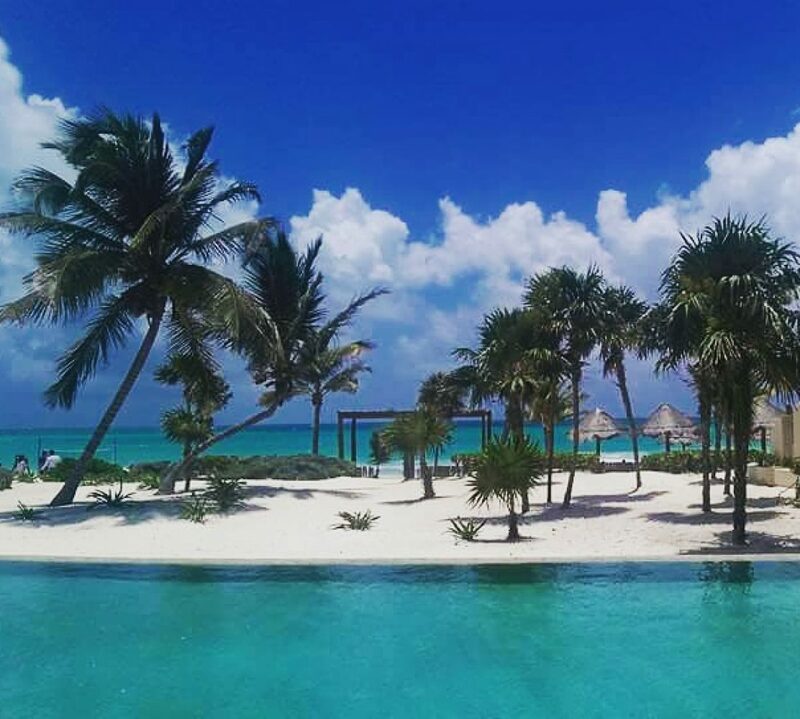 The best way to describe it as, our own private beachfront villa, equipped with a concierge, chefs, and staff. 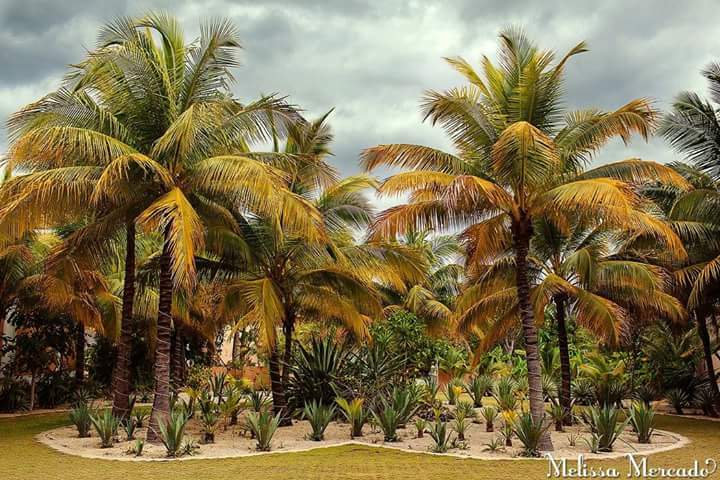 It’s located in Puerto Aventuras, MX, a 15 min drive South of Playa Del Carmen, in a private gated community. 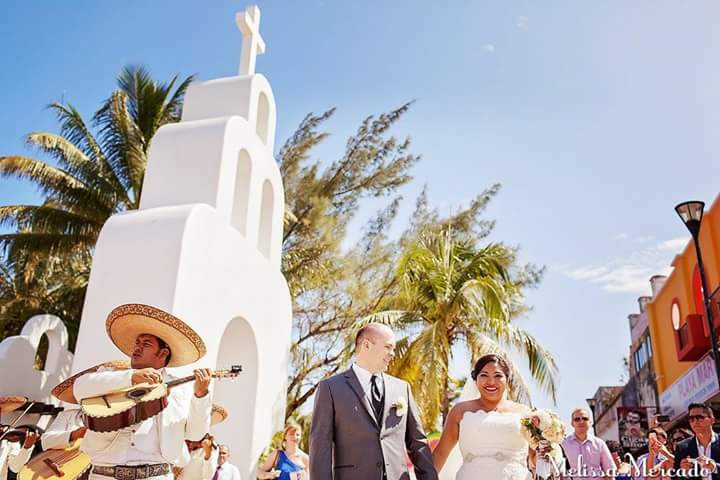 We obviously supplied transportation from the church to Hacienda Corazon, on our wedding day for all 50 of our guests. 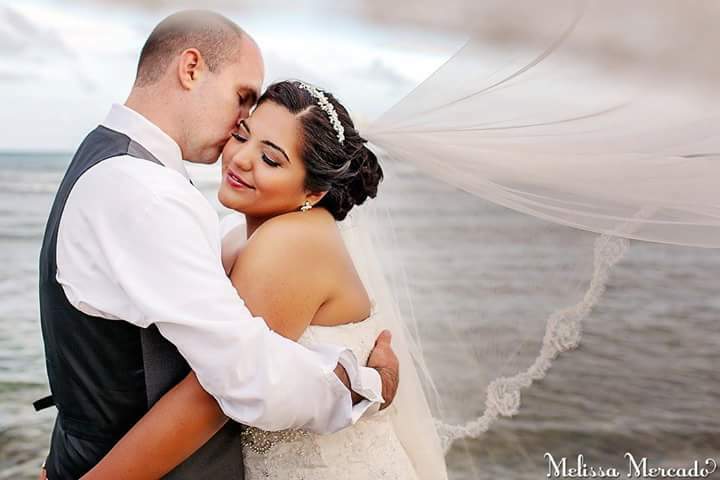 Your wedding day is a once in a lifetime event, and finding the right team to capture the moments is important. These are the pictures we’re going to look back on for the rest of our lives. These are the pictures our grandchildren will see! No pressure. With that being said, I relied on my trusty wedding planner. I relied on her a lot for pretty much everything. She provided us with several options for local photographers. I took the time to go through everyone’s websites and contact them each personally. I kept going back to http://melissa-mercado.com Melissa Mercado Photography. Yes, the incredibly talented and larger than life spirit, Lady M, as I grew to call her. It was so important to me that not only the photographer be talented, but we also had to click on a personal level. Again, this is the person(s) who will be capturing all the moments, the ones we’re going to share with our grandchildren. I gush about Melissa and her team. They were organized, professional, and creative geniuses. I’ll never forget when Melissa took her sandals off, so I could walk on the beach, and she walked barefoot through the sand. How generous and kind is that? 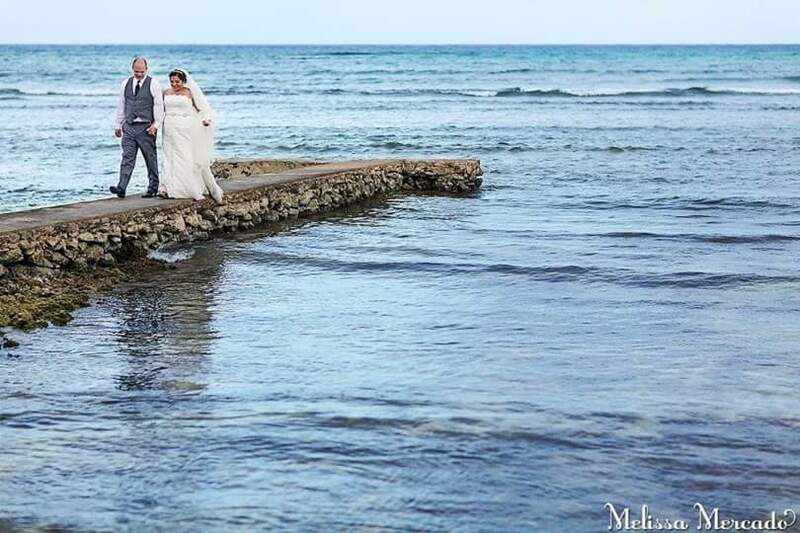 That’s the kind of service you can expect from Lady M.
Planning a destination wedding can be scary for a lot of brides. There’s so much you have to entrust to others and let go of control over. Having a great wedding planner is key! Don’t be afraid to ask as many questions as it takes. It will help ease your nerves, frustrations, and any confusions along the way. Also, don’t be afraid to ask other friends who have gone through this process before. You’ll be surprised how willing everyone is to help. I feel blessed because I actually prayed that God would send the right people to us during this whole wedding planning process and that He did. Forever grateful! WOO HOO!! Is what you might hear if you walk into one of our “Sirena” gatherings. The women in my family are powerful, passionate, and vivacious. Oh, and hilarious! Which is just as important in this family to have a sense of humor. 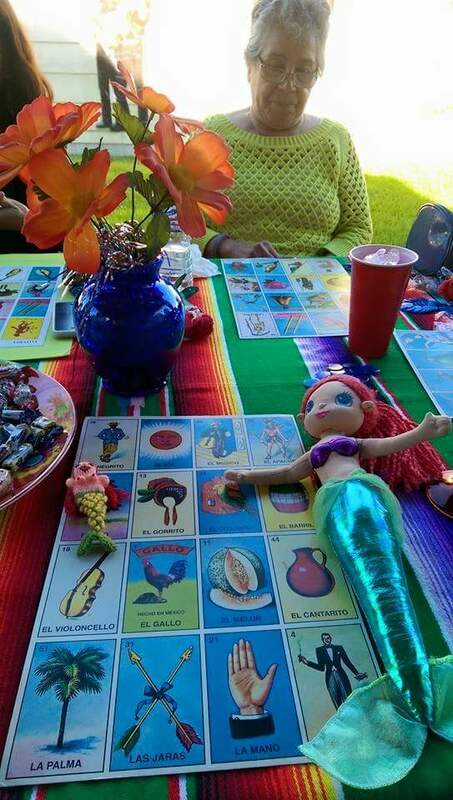 Every so often they gather to play a traditional Mexican game called, “Lotería” or often times referred to as Mexican Bingo. It’s a game we all grew up playing on both sides of the border, Mexico and the United States. The ladies in my family have taken it one step further. They’ve created an actual club for it, “El Club de Las Sirenas”. I went to one the founding Sirenas, mi prima Julissa Acevedo, to get the goods on the club. 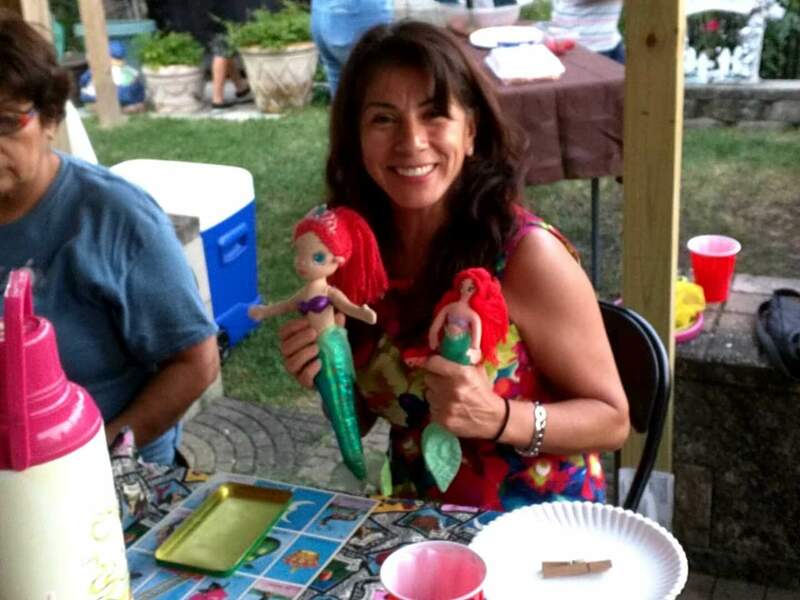 In 2008, “El Club de Las Sirenas”, met for the first time at Julissa’s house in Chicago. Q: How did the club originate? A: I started the club sort of as a compliment to what the men in our family had already been playing for years- dominoes…. I felt we needed our own space and traditions, and being all about female empowerment, I wanted to create a way for us to have the same camaraderie that the men were having with their domino playing- again, not to compete but to compliment. And so the club was born, and here we are today, going on seven years strong! Q: What are the club rules? A: 1. If you show up, you must play – no spectators allowed! 2. If your birthday is that month, your first game is gratis (free)! 3. If you are late by over an hour, your first game is twice the price! 5. 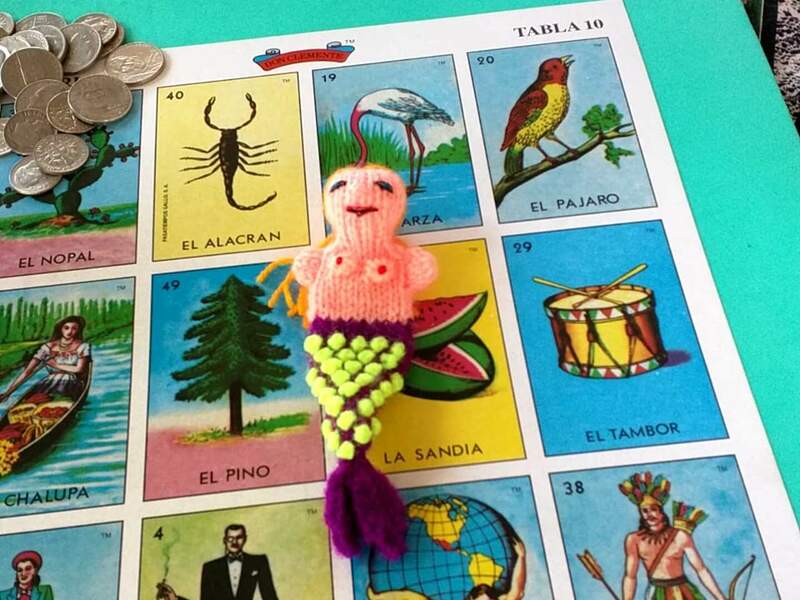 If you win, you must shout “Lotería!” – not “Bingo” (“Buenas!” Is ok too). 6. If you win with the rotating good luck Sirena, you win double the pot! 7. Good luck Sirenas, charms, etc are accepted and encouraged! 8. No chapuzas – or you will be kicked out of the club! 9. If you let your winning card pass you up, you can’t claim that win! 10. The big ganadora at the end of the night hosts the next gathering (unless another Sirena volunteers). 11. 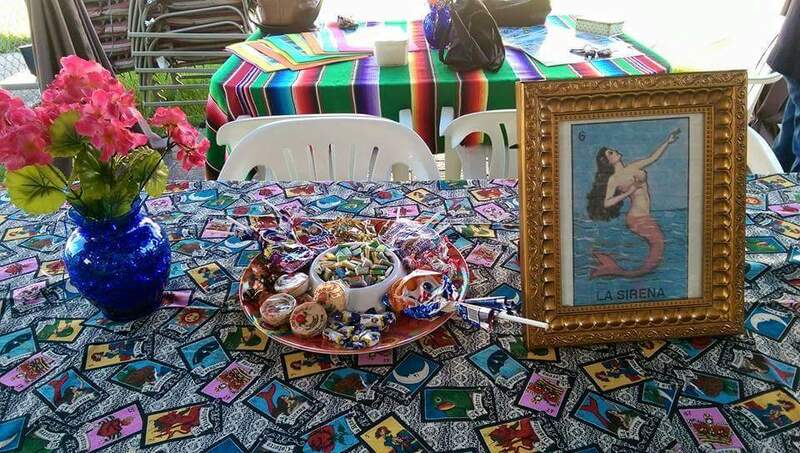 The next gathering date is chosen by the winning Sirena. 12. The losing Sirenas (no game won) play their first game free at the next gathering. 13. Last game of the night is carta llena (full card) for $1. Q: How often do we meet? Q: How long do you hope the club will continue? 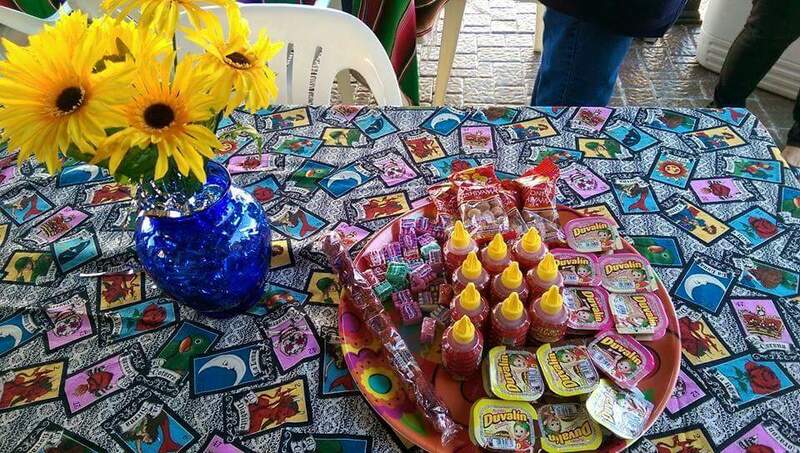 A: I hope the club continues as long as possible so our younger generation can carry on the cultural tradition of playing Lotería, but more importantly, then can see the value and fun in gathering together as a family. All too often, weddings and funerals are the only times we see family – and it shouldn’t be that way! For my last question, I opened it up to the other Sirenas in the club. Q: What is your favorite thing about, “El Club de Las Sirenas”? 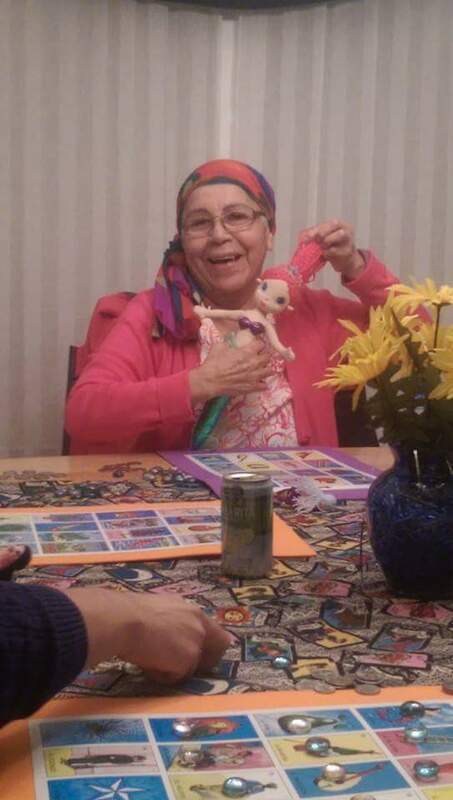 Lucy Amaya (mi tia) says: I enjoy seeing my aunts and learning about their generation and times. How the gentlemen were not permitted to date unless you ask parents for permission and the difficulties of moving to a different country…. Family is important in our culture, but when you come into Las Sirenas and you are not family, you will definitely become family. 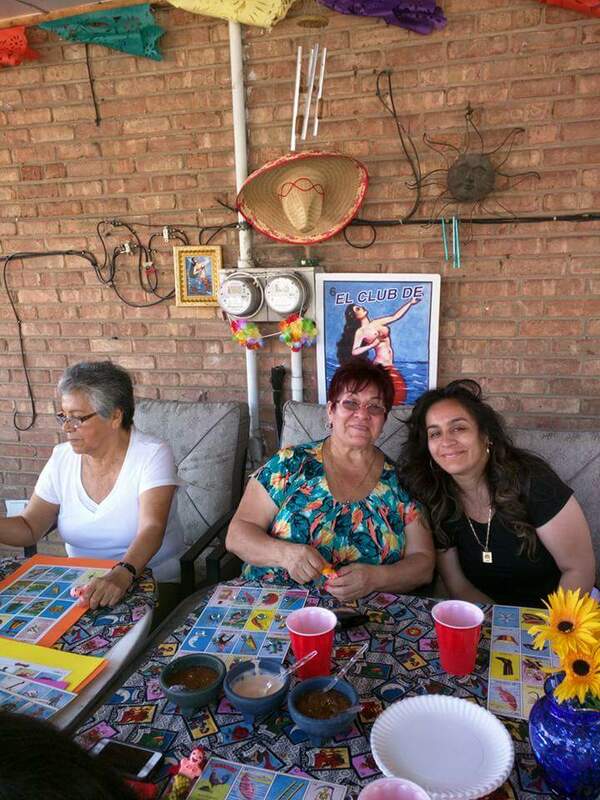 So yes, we are women, who get together for a day of playing Lotería, sharing our stories, sharing our troubles, but mainly sharing our love for one another. 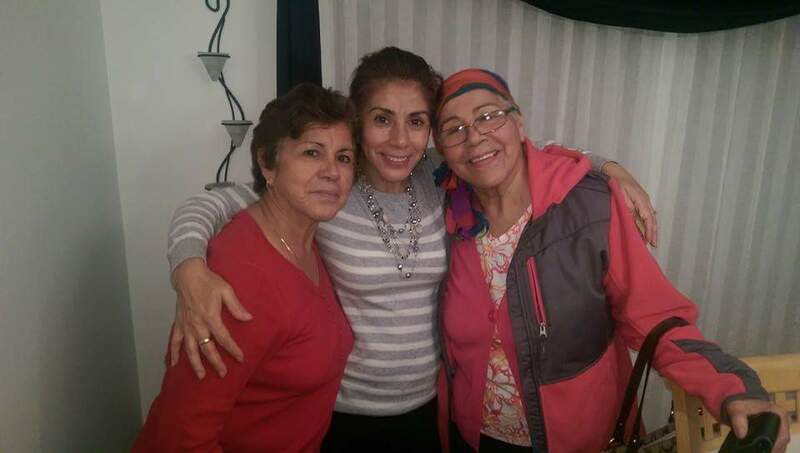 Maria Rosario (mi tia) says: I take this opportunity to get together with family and have a good time. I get such a rush when I see new members join our club and it’s not because the pot gets bigger!! It’s all about more family getting interested in being part of our little humble club. For me, “El Club de Las Sirenas”, is a link between the generations of women in my family that gather together to make something ordinary, extraordinary. It’s a privilege to hear first-hand accounts of my family throughout the years. My hope is that our club not only inspires the ladies in our familia, but yours, as well. Getting together with a community of women, married, divorced, immigrants, citizens, mothers, single mothers, non mothers, all family, is empowering to us all who gather. When you notice your cheeks hurt from so much laughter and smiling, whatever you may be going through at that time in your life doesn’t matter. 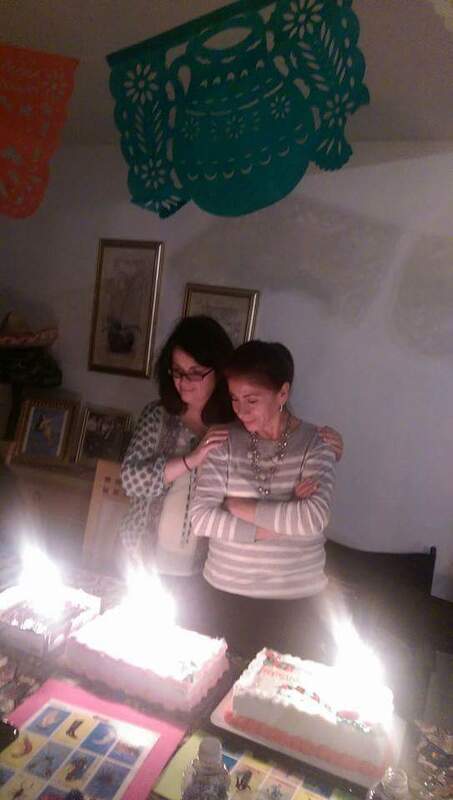 The women in my family have a way of uplifting one another through migrations, frustrations, and through the generations. 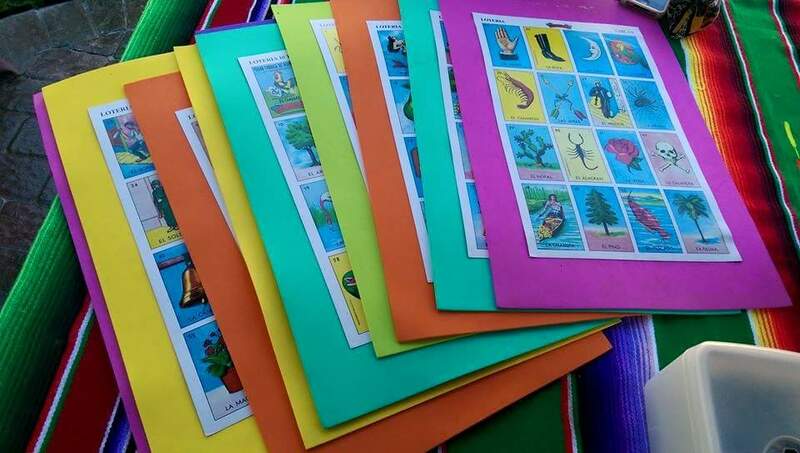 Leave your ego at the door, because once we start playing, we’re all the same little girls we were when we first started playing Lotería as children. Life is short not to get to know the incredible women we come from. I’m forever humbled to be in the presence of such strength, wisdom, and women of infinite faith. Every time I leave them, I’m left a better woman. May we continue to grow and bring generations of our family together. ¡Viva El Club de Las Sirenas! Woo – Hoo! !